JWT CEO Gustavo Martinez has, indeed, been toasted – as we forecast two days ago. He’s resigned by “mutual agreement” and is succeeded by WPP chief client officer Tamara Ingram, a Brit who made her reputation at Saatchi & Saatchi in that agency’s heyday. JWT chief communications officer Erin Johnson had accused Martinez (left) of a number of racist and sexist comments in a New York lawsuit. It’s not clear if the lawsuit will go ahead. Yesterday JWT owner WPP appointed a top New York law firm to undertake an investigation into Martinez’ comments and actions. It doesn’t look as though they had to investigate very hard. JWT and WPP were accused by many of acting too slowly in the Martinez case although a company’s first instinct is always to defend the boss. But WPP boss Sir Martin Sorrell seems to have got the message. What is entirely mystifying is how Martinez got the job to succeed Bob Jeffrey as boss of JWT in the first place. Agencies are a small world, even on Madison Avenue. Everybody knows everything about everybody, down to the size of their Westinghouse refrigerator or their mistress’ diaphragm, as former adman turned author Len Deighton once memorably put it. About spies as it happens. Did Sorrell or Jeffrey not know of Martinez’s modus operandi? He’d been at JWT for a year before winning the top job, after joining from McCann World Group. Ingram (left) is succeeded in her WPP role by George Rogers, one of the architects of WPP’s ‘team’ approach to big clients, or ‘horizontality’ as Sorrell likes to put it. As for Ingram, can she tether the big swinging dicks of Madison Avenue? Well Saatchi was a pretty robust place when the brothers were running it. And she’s a woman, which will play well with a lot of rather shocked JWT clients. 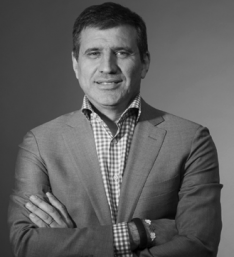 JWT's Gustavo Martinez is toast - the only question now is how does WPP deal with it?